Jörg Rocholl has been the president of European School of Management and Technology (ESMT) since July 2011. He joined ESMT in July of 2007 as an Associate Professor. In July 2010, he was promoted to Professor and awarded the first EY Chair in Governance and Compliance. In September 2010, he was named as the Associate Dean of faculty and in April 2011, Dean of faculty. His research has been published in leading academic journals such as the Journal of Finance, Journal of Financial Economics, and the Review of Financial Studies. Jörg is a member of the economic advisory board of the German Federal Ministry of Finance and also the vice chairman of the economic advisory board of Deutsche Welle. He is also a research professor at the Ifo Institute in Munich and Duisenberg Fellow of the European Central Bank (ECB). 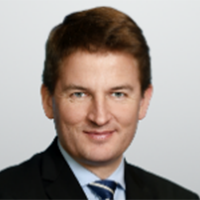 He has worked with Boston Consulting Group in Frankfurt and London and Deutsche Bank in Frankfurt and New York. Furthermore, he has been a visiting researcher at the Bundesbank’s Economic Research Center in Frankfurt. Jörg’s research has been portrayed in leading international media such as New York Times, Washington Post, Los Angeles Times, Boston Globe, Financial Times, Frankfurter Allgemeine Zeitung, Handelsblatt, and Börsen-Zeitung. He appears regularly as an expert on ARD, ZDF, and Deutsche Welle TV. Professor Rocholl holds both his PhD in Finance and Economics and his MPhil from Columbia Business School and received his “Diplom-Ökonom mit Auszeichnung” (Economics degree with distinction) from the Witten/Herdecke University in Germany.